Ashley Roberts attended a photocall to launch her new fragrance ‘Ashley by Ashley Roberts’ at The Folly on Wednesday (March 12) in London. For the launch of her imaginatively titled fragrance, the former Pussycat Doll brought out the sun in the capital wearing a yellow bodycon sleeveless sequin dress from Key Fashion. I love the asymmetrical neckline for a fun twist, along with her punchy printed Christian Louboutin ‘Iriza’ pumps. The thing that I find questionable about the look – apart from that bird cage – is the eye makeup. I would’ve preferred a fresher approach for this dress. 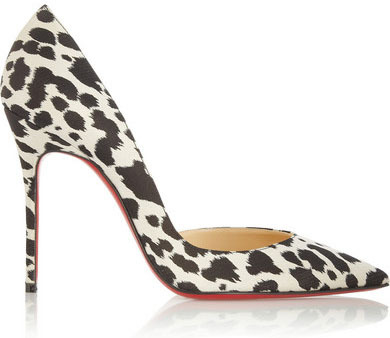 You can buy Ashley’s Christian Louboutin ‘Iriza’ Pumps from Net-A-Porter.com.